Hi, sorry for a little bit busy in real life and forget to update this blog. Today let's make your day more happy with the Happy kit. This kit is PU/S4H/S4O OK.
Do you like it? just grab it for free and play!!! Help me to spread the word about my blog, tweet this, donnation, and leave a comment. Your support make more freebies still coming. 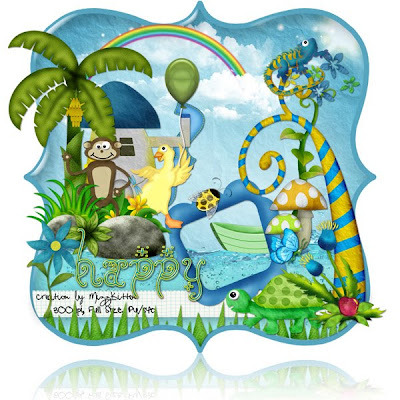 Wow, your designing is just so fun and funky to use, you have been so generous to us with your freebies lately, and I have noticed your work is getting more and more confident, I love the elements and the way you make such cute creatures. Thank you for being so generous to us freebie needers, I am so thrilled everytime I see your distinct style on Craft Crave, I click to you straight away!!! Thank you for the adorable kit. Thank you so much for this post. 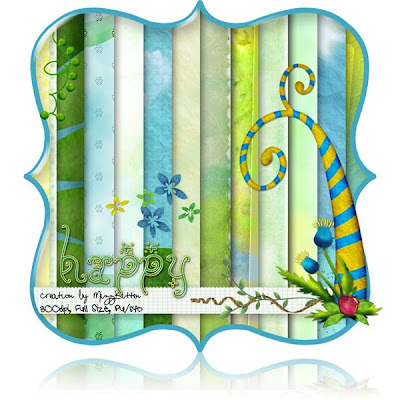 I want to let you know that I posted a link to your blog in CBH Digital Scrapbooking Freebies, under the Page 3 post on Aug. 20, 2010. Thanks again. Thank you for the cute kit. I'm anxious to check out all the elements and paper. Thanks Meta, this really a fun and happy kit ! Thanks...this kit is adorable. I'm glad to find your site! Thank you for sharing your cute kit. Love the duck and the monkey! your kit is so funny ! thanks for this great kit. I just think it is to cute. have a great day. Thank you! Your kit is beautifull and so sunny! Thank you very much for this beautiful kit ! Thank you for this wonderful Kit!!! Thank you so much for this post. I want to let you know that I posted a link to your blog in CBH Digital Scrapbooking Freebies, under the Page 5 post on Nov. 05, 2010. Thanks again. Thank you. I love the happy name because that's exactly how it makes me feel.